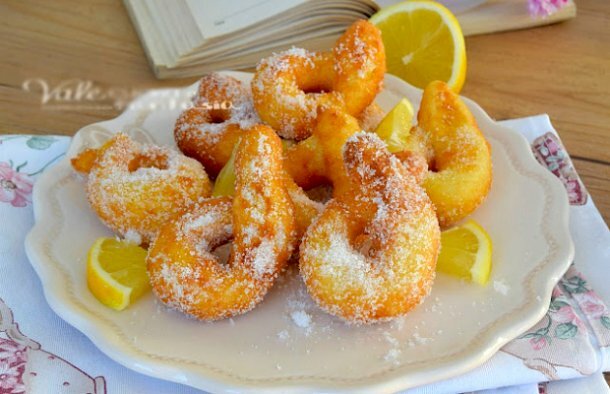 In a bowl, place the eggs and sugar, knead and add the mascarpone cheese, mix well and add the juice and lemon zest. Knead again, slowly incorporate the flour and baking powder and knead some more so everything is well incorporated. Let the dough stand covered with a cloth for half an hour at room temperature. Heat the oil, put the dough on a pastry board and separate the dough into pieces of about 1 ounce each, make rolls with your hands lightly floured, cross them at the ends and continue until the dough is finished. Fry in hot oil, once they are golden brown, drain them in kitchen paper. 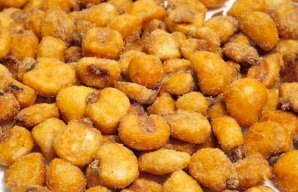 Sprinkle with granulated sugar while they are still warm. 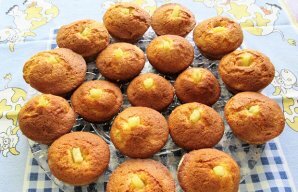 These Portuguese pineapple and cinnamon cupcakes (queques de ananás e canela) are delicious, quick to make and a great snack. 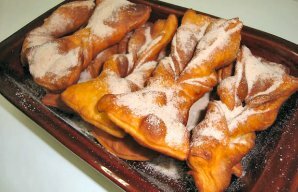 These Portuguese cinnamon-sugar twists (torcidos) recipe make a delightful snack, perfect for those afternoon sugar cravings.